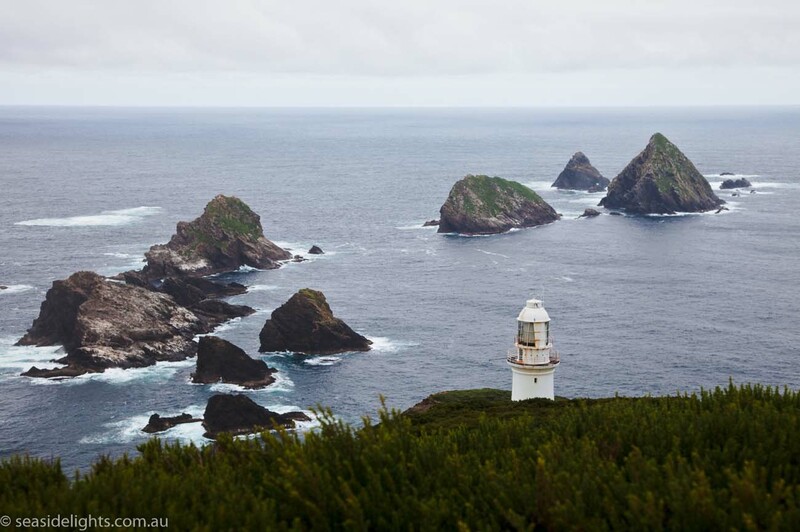 Maatsuyker Island Lighthouse | Lighthouses of Australia Inc.
At Maatsuyker Island Lighthouse, Australia’s most southerly lighthouse, conditions are extreme with the constant buffeting of the Roaring Forties coming off the Southern Ocean. 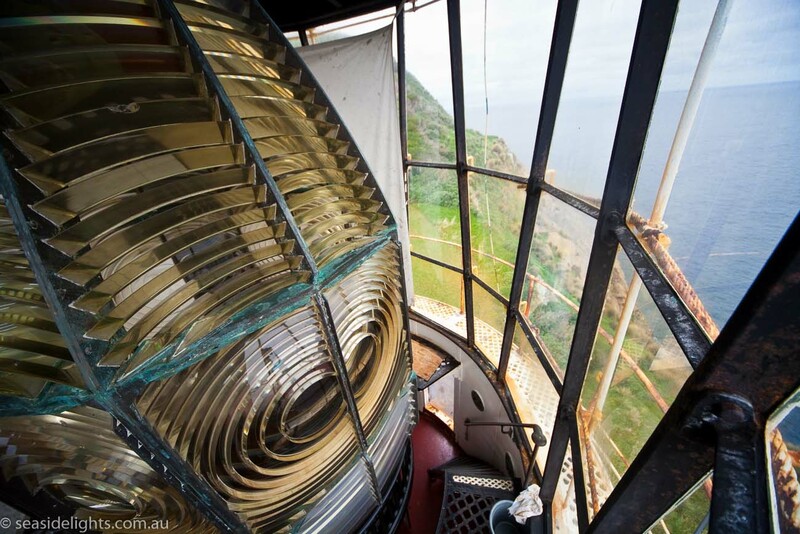 This light is unique as it is Australia’s most southerly lighthouse. 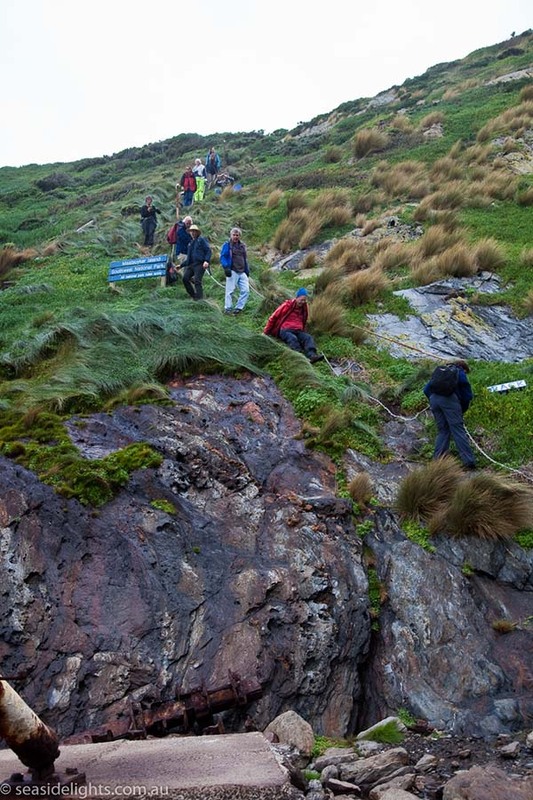 It is on Maatsuyker Island, 10 kilometres off the southern most coast of Tasmania, and is lashed by the unobstructed force of the Roaring Forties coming across the Southern Ocean from as far away as Africa. 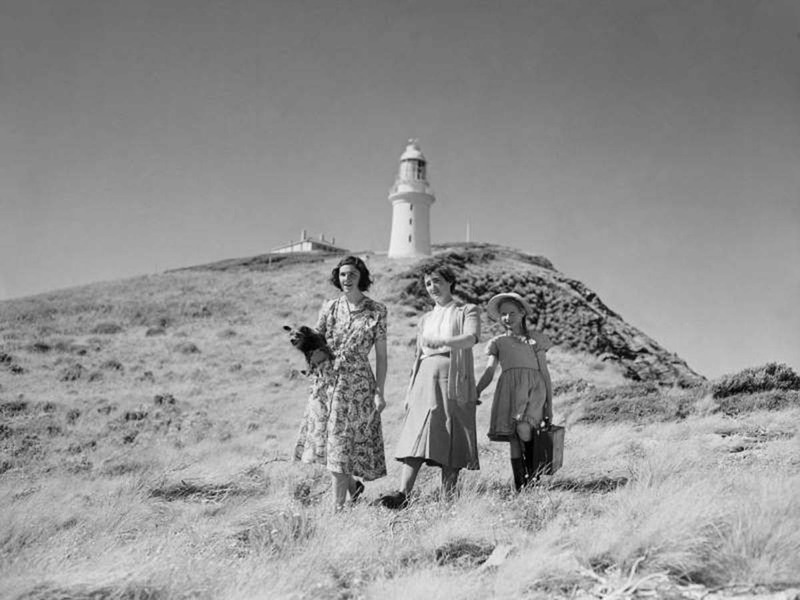 The Lighthouse is situated on southern tip of island for best visibility and all round view. Alternate sites that were considered were the Mewstone and South West Capes. Maatsuyker was selected in 1888 by Hobart engineer, Meech. Completed in 1891, the tower is also unusual in that it was built with a with red brick cavity wall. The tower was rendered and painted white. The original light assembly (prism, clockwork, astragal and copper dome) were bought from Chance Brothers of Birmingham. 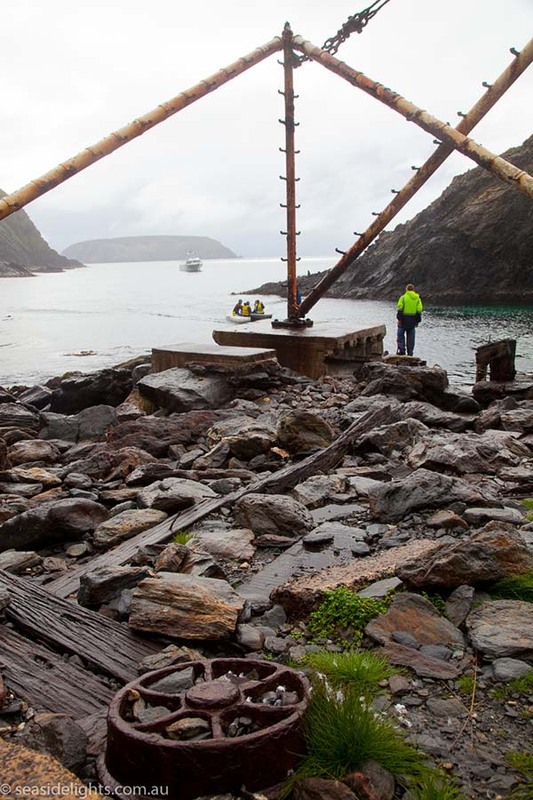 All the materials were brought from Hobart and hauled up a steep horse powered tramway at Haulage Cove, on the relatively sheltered east side of the island. Haulage Cove is the only place where a safe landing may be made on the island, and even this is subject to weather conditions. The tower has three internal floors made of Mintaro (SA) slate. The uppermost floor (11 cm thick), which is reached by a wrought-iron staircase, supports the prisms and the lens-clock mechanism. The weight of the light gear exceeds two tonnes. The VRB25 higher up the island. A BIG drop over the fence. The Mewstone in the background was a preferred alternate site. 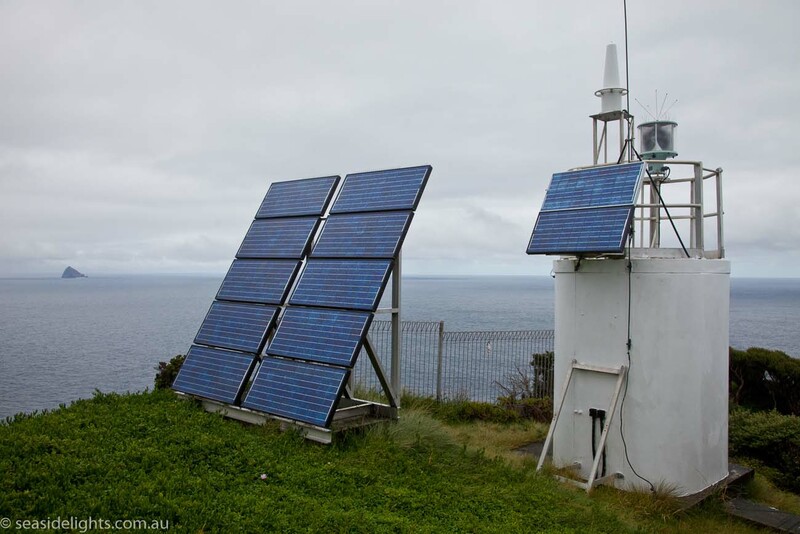 Weather observations have been continuously maintained from the light since 1891. The control of the light passed to the Commonwealth in 1917. This sufficed until 1976 when 3 diesel generators and a 1000 watt electric light were installed. 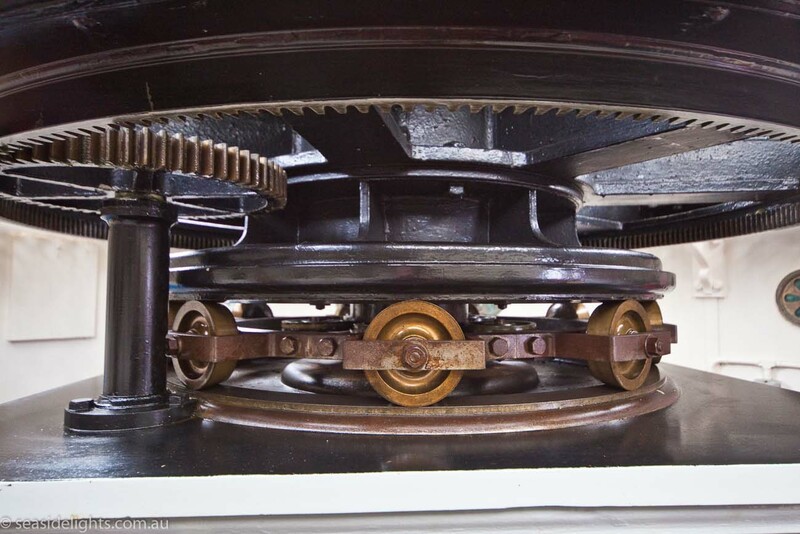 As part of the modernisation, the clockwork mechanism was replaced by an electric motor, however the mechanical components were left in place. At this time the staff was reduced from 3 keepers to 2 keepers. The “continuous watch” system was replaced by a “non-watch” roster. The “non-watch” system allowed the keepers to sleep at night (apart from making 3-hourly weather observations). An alarm system monitored the light. Comments from fisherman at the time of the changeover from kerosene to electric illumination said that the “loom” from the kerosene light penetrated mist and haze better than the electric light. The light was replaced, in 1996 with a fully automated, smaller, solar powered light further up the hill with the intention of demanning. Pressure of having a light operating in such an isolated position under extreme conditions had kept the light manned much longer than its counterparts on the mainland. 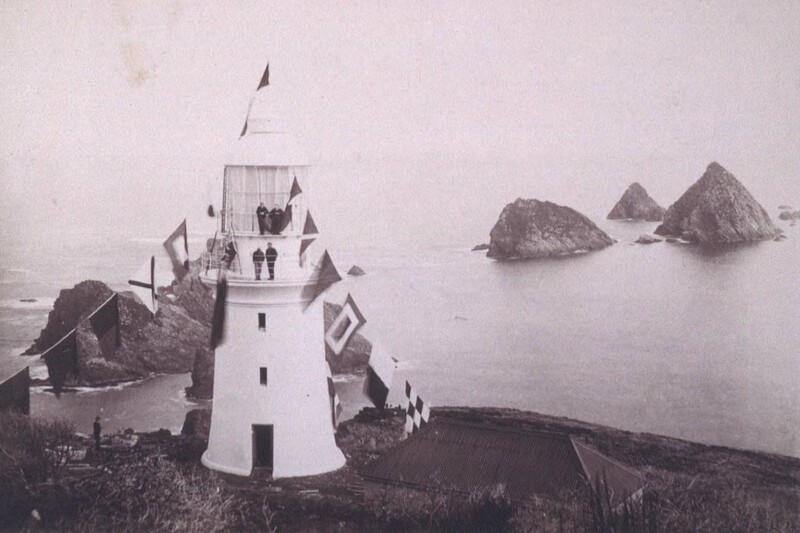 As with most isolated lighthouse the keepers had to assist survivors of wrecks at sea. In 1907 the “Alfhild”, a Swedish Barque was wrecked and the six survivors under great difficulty made their way to the island. Here they were cared for until the supply ship could pick them up. The lighthouse was originally supplied via the jetty and tramway at Haulage Cove. The jetty was replaced several times after being demolished by storms and heavy seas. Hobart-based fishing boats were contracted to provide a fortnightly mail and supplies service. Since the mid 1970’s the supplies have been brought in by helicopter and the jetty has since crumbled. The island has an average of 250 rain days each year, with an annual average rainfall of 1.2 metres. It is interesting to note a comment in the keepers log book from 1907 stating “Five days continuously without rain this month”. There is a constant gale with winds averaging 50-60 knots and the highest recorded speed is 112 knots. Opinion has it that it has been much higher, however the recording equipment did not survive the storm to substantiate the claim! The dome of the lantern room is pocked with dents from hail as big as golf balls attesting to the ferocity of some storms. 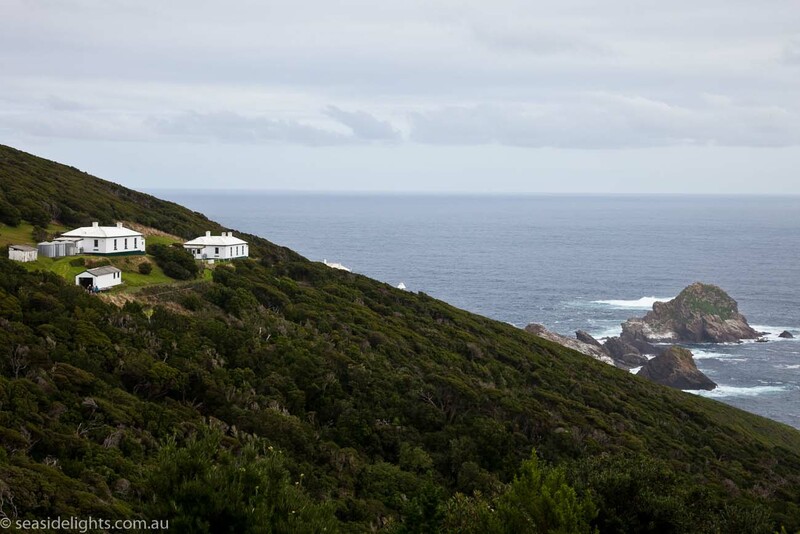 When the light was opened in 1891 a party of 30 dignitaries arrived by boat from Hobart and were greeted by a placid sea. An unusual event considering the island’s reputation! 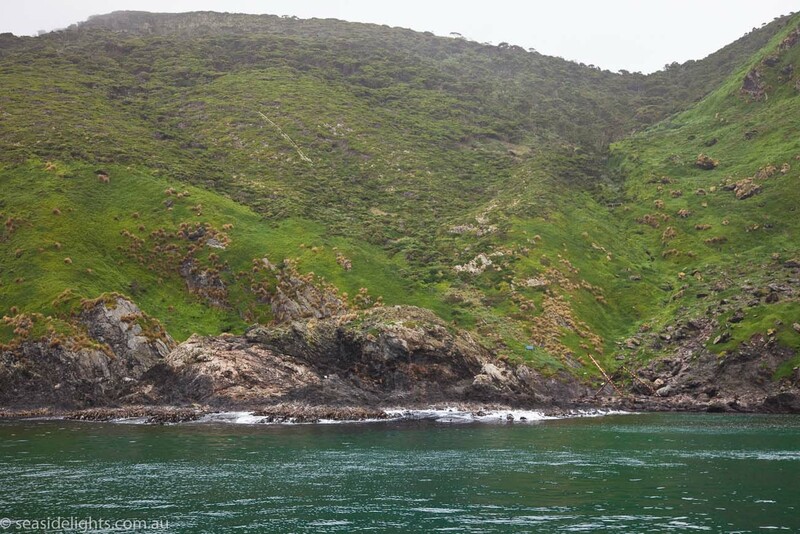 It is interesting to note that Aborigines for hundreds of years made this treacherous crossing, from the mainland to the island, to hunt seals and muttons birds in nothing more than canoes made of tea-tree. The island is accessible by boat or helicopter. Tours of the tower may be organised with the caretakers. Friends of Maatsuyker Island (FOMI) Wildcare conduct day trips to Maatsuyker Island. This is a once in a life time opportunity to spend several hours on the remote Maatsuyker Island and to tour the unique Lighthouse and Lightstation. The boat trip leaves from Southport jetty rounding the South Coast with views of Precipitous Bluff, Iron Bound Ranges, Louisa Bay, De Witt and Flat Witch Islands on route to your destination – Maatsuyker Island. This is a wonderful adventure. Participants need to have an excellent level of fitness. Friends of Maatsuyker Island Wildcare Inc. There was much pressure to keep this light operating and manned. After a temporary reprieve in 1998 the light was abandoned by AMSA. The light has since been handed over to the Tasmanian Government who has employed short-term caretakers. Also the Federal Government has provide a grant to repair the old haulage way and establish a viable alternative energy source for the Island.